AmericanaFest 2016 is in full swing in Nashville, and that means that we have another round of awards for their top artists. The big winners of the 15th annual event last night included Jason Isbell nabbing Album Of The Year and Song Of The Year, Chris Stapleton winning Artist Of The Year, and Margo Price being honored with Emerging Artist Of The Year. 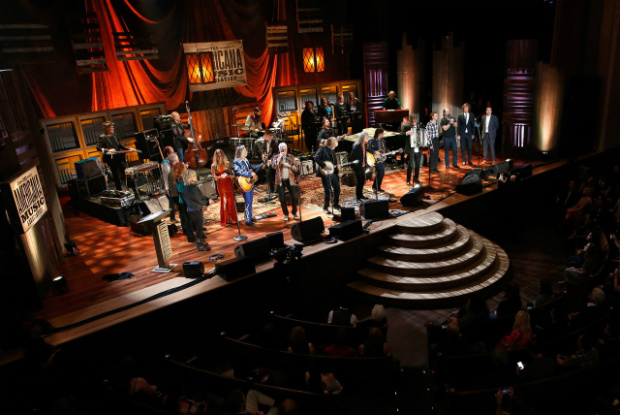 Other artists honored at the event include Jim Lauderdale, Bob Weir, Billy Bragg, and Sara Watkins, and the show featured performances by Weir, Dwight Yoakam, Timothy B. Schmit, George Strait, Isbell, Shawn Colvin to name just a few. Head below for a full list of the winners from the 15th Annual Americana Music Association’s Honors & Awards Ceremony.